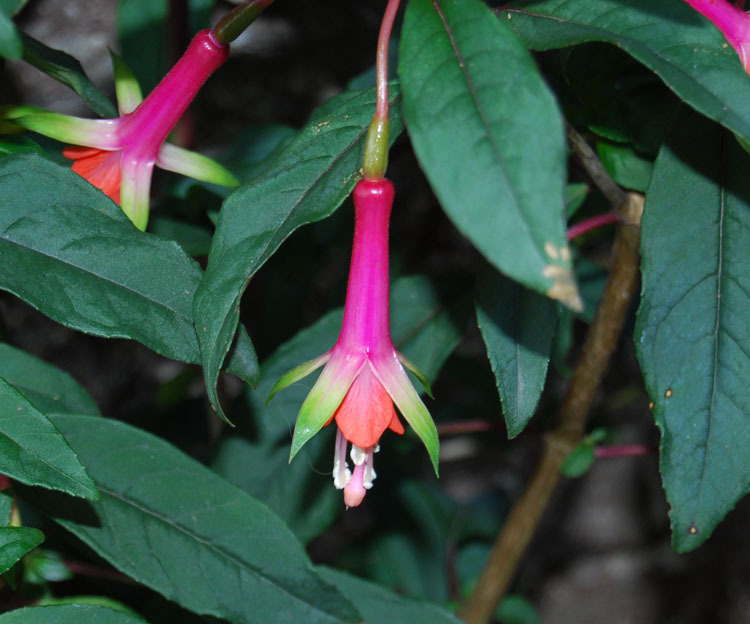 A rather exotic Fuchsia, unlike most common types, unique for its creeping habit. 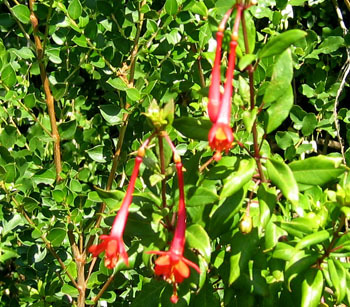 This species grows much like a groundcover, often not exceeding more than a few inches in height. Bears pretty rainbow flowers followed by firm-fleshed, edible fruits. 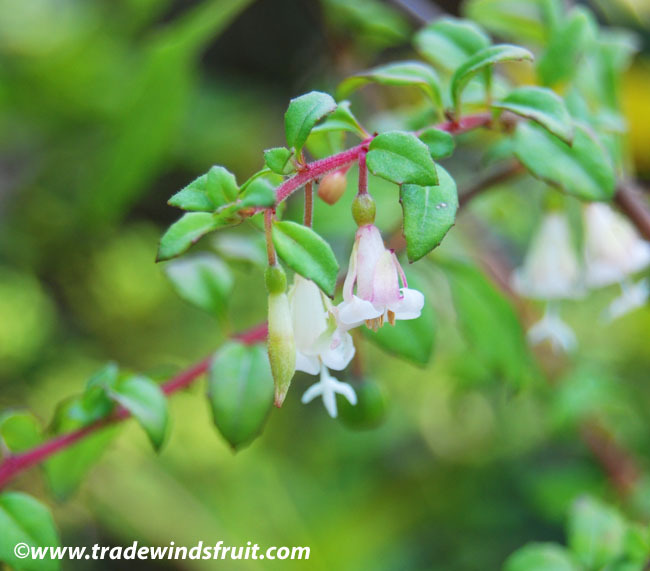 Seeds are not available for the Creeping Fuchsia. Please visit our seed store to view current selections. Seeds were last available in September 2017. A deciduous creeping perennial, growing up to 2ft, but often only to a few inches. It slowly spreads and if allowed, can be used much like a groundcover. Also great in hanging baskets. 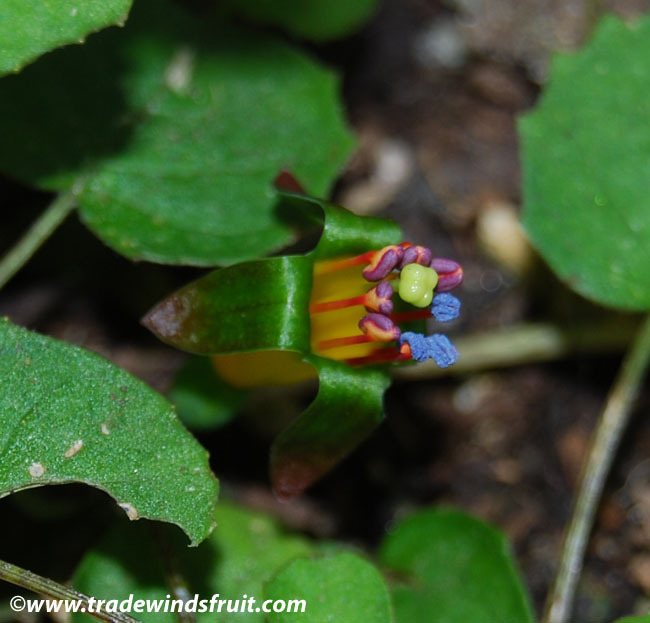 The rainbow-colored flowers are borne in Spring and followed by red-ripening berry-like fruits that have a firm skin. Hardy to the mid to upper 20's (F). 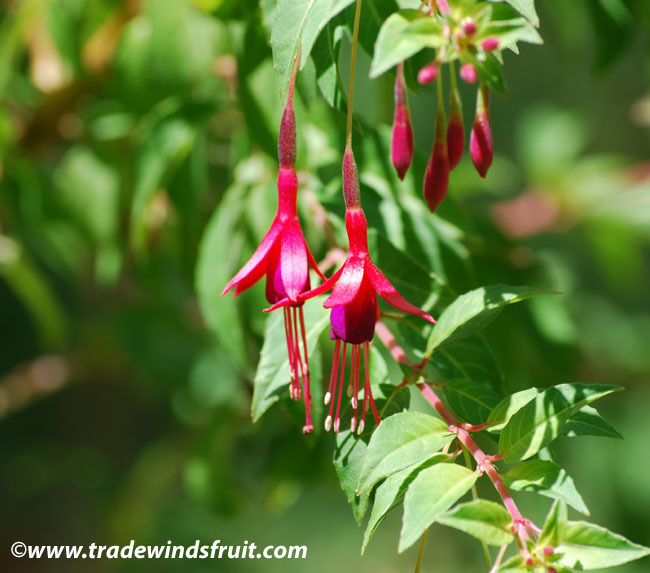 This Fuchsia does not like hot temperatures and is best grown in areas that receive only occasional 100F+ days. In warmer climates it needs to grow in shade. Enjoys regular water throughout the year. Does particularly well in shaded locations and in warmer climates this is a must. Not too picky about soil types so long as they are well-drained. By seeds, which generally take a few weeks to germinate. By divisions and cuttings. 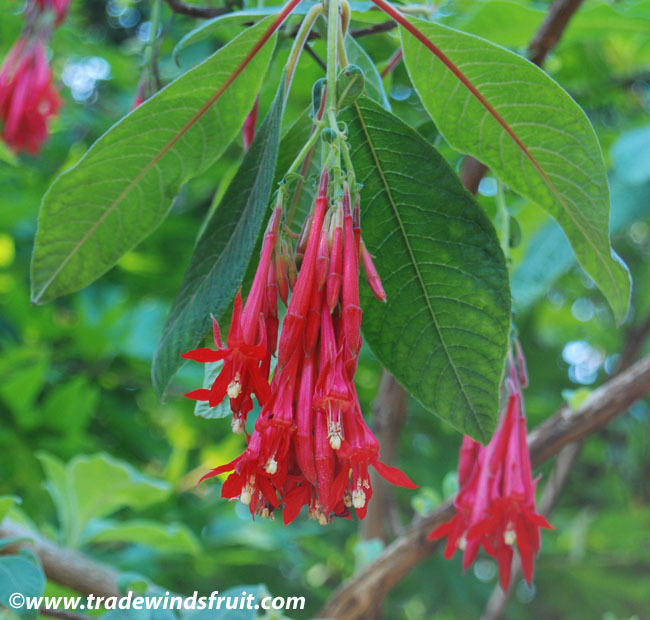 Used often as a unique ornamental, offering beauty throughout the year---in leaves, flowers and fruits. Native to New Zealand. Discovered in 1834 by Richard Cunningham.